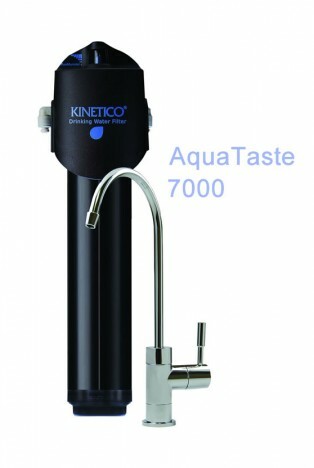 The Kinetico AquaTaste 7000 Drinking Water System is a granular activated carbon filter to improve the taste, odour and colour of your drinking water. This filter is rated at 5 micron. The AquaTaste 7000 Drinking Water System model sit neatly under your sink and eliminates unwanted chlorine, sediment and heavy metals such as lead from your drinking water. The drinking tap will be fitted above your sink for easy access. 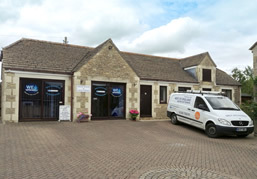 The water filters are easy to fit and come with full instructions and everything you need to carry out the installation yourself, including the drinking water tap and push-fit connections. MACguard system measures water consumption and shuts off cartridge after it has filtered 1850 Litres of water. For most families this represents a year plus use. Quick disconnect (twist and remove), sanitary filter cartridges. PureMometer filter life indicator shows remaining capacity at a glance. Drinking tap, tubing and fittings included. They are tested and certified by NSF International against the requirements of ANSI/NSF Standard 42 for taste, odour and chlorine reduction. No mess, simple filter changes. Easy to read meter eliminates capacity guessing. 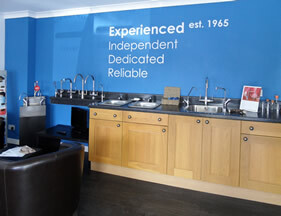 Remote sink / tap installations. Can be used for refrigerator dispensers, ice makers and coolers. Replacement cartridges are also available from our website. Please see below associated products for further recommendations. Replacement drinking water filter cartridge for the Kinetico AquaTaste MACguard 7000. Kinetico reverse osmosis drinking water system. Kinetico Reverse Osmosis Plus Deluxe, K2 and K5.